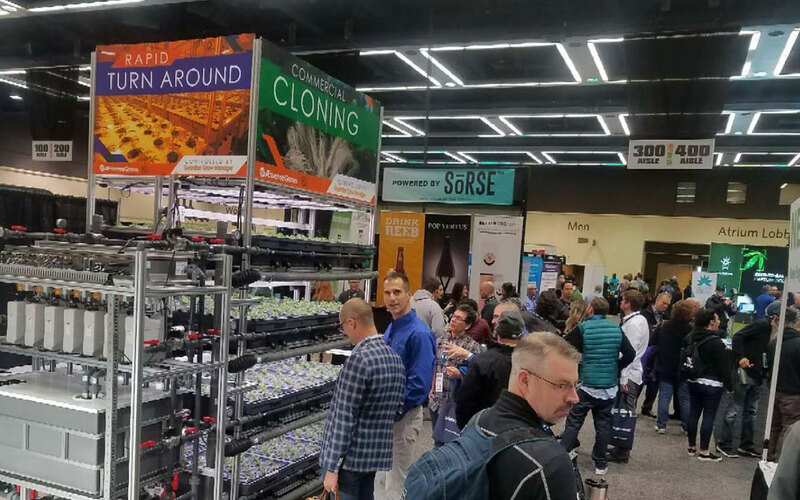 It's Day 2 of CannaCon Seattle, and we'd love to meet you here at Booth 315A to show you the latest advances in aeroponic growing. We have our AEtrium-4 production blooming machine, our AEtrium-2.1 SmartFarm for cloning and veg, and our recently introduced AErix LED grow lights. These products, all part of our sensor-driven aeroponics system, can help deliver faster time to harvest and more consistent yields through automated precision growing.